Looking for the best value when purchasing a multimeter? It is important to select a meter that will give you the features, accuracy, and reliability that you need at a price point you can afford. No Fluke meter? No problem. 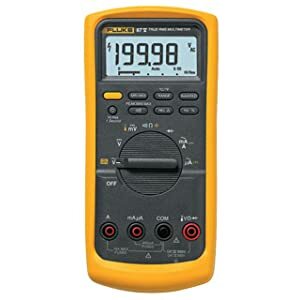 If money were no object, the team here at MM Expert would generally recommend Fluke Multimeters all day long. After all, they are the market leader in the Diagnostic and Tester tools arena and for good reason – they generally produce high quality products that are both highly accurate and very reliable. 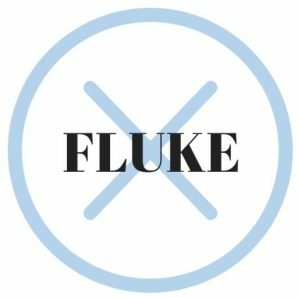 They’ve also been around for a long time and they stand behind their products – Fluke provides a limited lifetime warranty on all of their Industrial Products. Unfortunately, Fluke products also carry a premium price tag. Fluke meters have a reputation for being the choice of professionals and you definitely pay a bit extra when you buy one because of that fact. Thus, we will not be considering Fluke meters in this article. Don’t misunderstand – it’s not that Fluke products aren’t worth the price. But if you’ve stumbled across this page, you are obviously looking to get the best value in a multimeter. We define value as getting a quality/reliable tool with the features you need at the best price possible. The markup you pay for the Fluke name diminishes this value. So with that in mind, we’ve looked high and low to find a product that is well made, reliable, accurate, feature-rich, and not too pricey. Read our full review of this meter here. We used the following selection criteria in chosing the Innova 3340. Construction Quality – Is it built to last with quality components? Innova Meters are highly regarded as being well-built with ruggedized construction to withstand abuse. Sampling customer reviews reveals a very low failure rate. 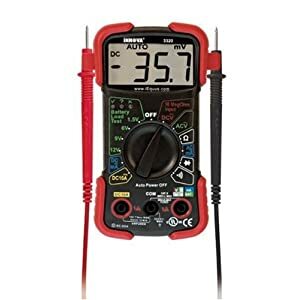 Reviews/Ratings – Are people who’ve bought this Multimeter happy with it? Exceptional ratings and reviews by a large number of users on Amazon shows that others agree with our evaluation of this meter. Features – Does this meter support a large number of features? The 3340 boasts a long list of features that will appease novice to professional, and everyone in between. This meter also features additional automotive-related features such as inductive RPM and temperature measurement. It is an appropriate choice for DIY electronics hobbyists, homeowners, auto mechanics, HVAC/electrical technicians, and beginners alike. See the Innova Website for a full list of features supported by the 3340. Safety Rating – Is this meter certified in any way? Support from the Manufacturer – Does the manufacturer stand behind the product? Innova includes a 1-year warranty on the Multimeter and also provides a lot of helpful product documentation and FAQ’s on their website. They also provide web-based and phone-based support as needed. Test household batteries to see if they are still good or if it’s time to replace them. Checking to see if an outlet is live. Check for continuity on a circuit or on phone/network wiring. Checking voltage, current, or resistance. Although it retails for about $150, the Innova 3340 is usually available on Amazon for much less than that. Check the link below to see the current price (it fluctuates, so we don’t publish it here). The price point on Amazon is usually roughly half of what a simiarly equipped Fluke meter would cost. Again, if you wish to check out our full review of the Innova 3340, click here. 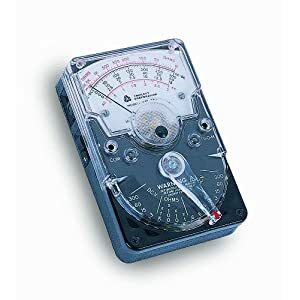 Before the digital era, all multimeters were analogues. Both analogue and digital multimeters perform the same functions, but there are some differences between them, which are not really important to the effective functioning of the multimeters. The major difference is the fact that digital multimeters are easier to use than analogue types. Analogue meters also have their advantages over their digital counterparts. Analogue meters are more durable and can measure more accurately than some digital multimeters. The analogue multimeters are designed with an apparatus that looks like a needle, which swings across the scale of the meter. Although, many people are now making use of digital multimeters, there are a number of reasons why some still prefer the analogue model. One of such reasons is the fact that the analogue model reacts quicker than their digital counterpart. If you would rather opt for an analogue multimeter instead of the digital model, below are the 5 best analogue multimeters in the market for home and industrial use. Multimeters are meant to help you navigate through electrical problems to provide solutions when troubleshooting your appliances. That is exactly what the 260-8 VOM model offers you. 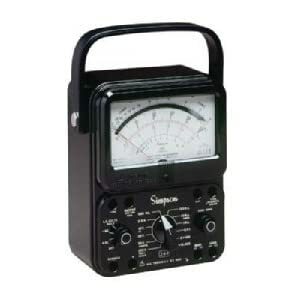 Simpson has remained a leader in the multimeter industry for many years, and its reputation is still strong. This is one of the oldest multimeters in the market and it isn’t a surprise it’s still in high demand today. 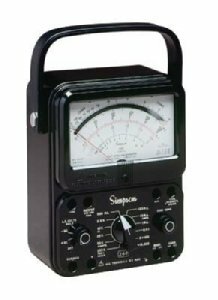 While some other multimeters will have issues about readings and calibration, this Simpson model is perfectly designed to give you the exact readings that will help you solve any electrical faults with your device. Whether you need a multimeter for commercial or residential purpose, this multimeter will definitely serve you well. If it is an analogue multimeter you are looking for, there are no better options than the Simpson 260-8 VOM model. For those who want a general purpose multimeter to use in a general industry environment, this is certainly the right meter for you. Its reading accuracy can be compared with the best types of multimeters on the market today. It is the ultimate design for analogue VOM and dependable beyond expectation. 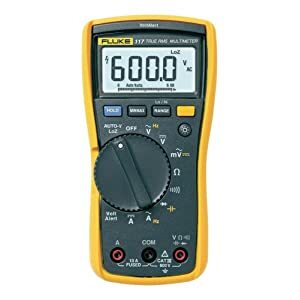 With this multimeter, you will be elevated from a novice user to a professional in no time at all once you understand its techniques and controls. Here is another excellent multimeter you will appreciate if you are using a multimeter for general purposes. With a mirrored scale of 80mm, continuity winkle, tilt back stand, compact sizing, diode protection and 20 versatile ranges, this analogue multimeter is highly effective. Its accuracy is as high as any other good quality multimeter. The tester is equally strong as well as its battery strength. When using the multimeter, there are certain things you need to be very sure of such as its reading speed and durability. The Sunwa 8-function multimeter passes these two criteria with flying colors. 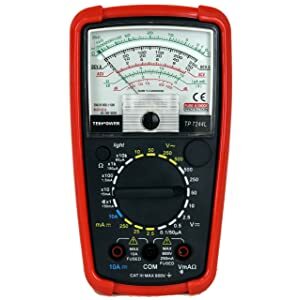 Because of its accuracy and effectiveness in troubleshooting electrical appliances, the Sumwa multimeter model has maintained very high user ratings on eBay, Amazon and other top quality retail websites. If you are looking for a multimeter for personal or individual use and not worried about industrial purpose multimeters, this brand is going to serve you well. Moreover, it is one of the least expensive types of multimeters you will ever see for sale. Interestingly, this does not really affect its quality. It has been given 4 stars because of its price, durability and overall accuracy when measuring electrical currents. It is, therefore, highly recommended. There are good multimeters and there are great multimeters. The Tekpower TP7244L7 falls under the second category. This 20 range multimeter is another excellent product that can guarantee you top notch accuracy. It is great for diode testing, continuity, resistance, DC current and AC/DC voltage. You have 4 different ranges to choose from when measuring DC voltage under 10 volts. These include 10v, 2.5v, 0.5v, and 0.1v. With the 50 micro amp feature of the multimeter, you can effectively measure current with very little micro amps at 3 percent accuracy. What are the features that make this model of multimeters stand out among so many other analogue multimeters? Well, the most basic distinctive feature of the Tekpower TP7244l multimeter is its durability and reading accuracy. It is highly accuracte and perfect for checking DC and AC voltage. Other notable features include zero adjustment, Decibel Value Measurement and back light for dark environments. Its durability is another consideration for lots of customers who wouldn’t want to keep replacing multimeters at all times. No wonder it comes with a 1 year product warranty to give customers assurance of product durability. The multimeter is less expensive and works even better than some other more expensive multimeters. If you are looking for an accurate reading multimeter with accurate and fast readings, the Tekpower TP7244L multimeter is ideal for your needs. This multimeter is a manual ranging meter which can be used to test resistance, DC current, AC/DC voltage to 600v, continuity and decibels. It comes with diode overload protection and all ranges are protected. It has a wide range of features such as the two input jacks that help reduce measurement error and the mirrored scale which minimizes parallax error. It also comes with batteries and test leads to help you effectively perform any type of electrical troubleshooting task with ease. This analogue multimeter can help you diagnose electrical problems in power supplies, wiring and electrical equipment. You can make use of leads, clamps and probes to connect the meter to a device or circuit. You will definitely need a meter if you are looking to diagnose any electrical problem you have with your electrical gadgets. Thankfully, the Triplett 3030 multimeter has all the features needed to provide the perfect measurement. Apart from its variety of strengths, the meter is also very affordable and quite long-lasting. It can therefore be used by different category of electricians, whether novices or professionals who want the most accurate readings in their applications. It comes with alligator clips, one black and one red teat lead as well as the Triplett Volt Ohm milliammeter. Here is another outstanding multimeter from the Tekpower brand. If you are looking for a multimeter that can read quickly to make your troubleshooting task easier and more accurate, this multimeter is the ideal model for you. It comes with preinstalled batteries that give the device a very long lifespan. One important feature of this multimeter is the resistant scales with stable zero calibration adjustment. It can be used to measure resistance, continuity as well as AC and DC voltage. 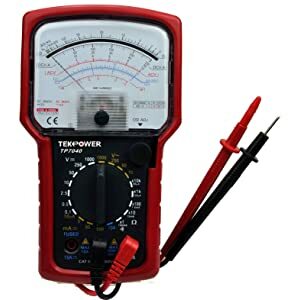 There are many reasons why the Tekpower multimeter has remained so popular among professionals who understand the need for a high quality multimeter for troubleshooting tasks. One of those reasons is the device’s ability to carry out very small resistance measurement. Also, you don’t need to make any readjustment when using the range selector for measurements. Another interesting feature of this multimeter is the DC voltage, which is usually accurate. Again, the device is very easy to operate and will not pose a problem for a novice or a DIY enthusiast. It doesn’t come with a screw which means that you will only need to open and take off the holster without bothering about unscrewing. Other excellent features of the product include diode overload protection, a glass meter window that provides better chemical resistance, mirrored scale which minimizes parallax error and 25 measurements ranges. Overall, if you want troubleshooting equipment where you need to see rapid voltage changes or where small resistance measurements are needed, this multimeter will definitely do the job for you. A multimeter will always be a friendly tool in the hands of experienced and professional electricians. Even if you are not an electrician, this device can come in handy and save you from a lot of trouble if your car develops an electrical fault in a secluded area. 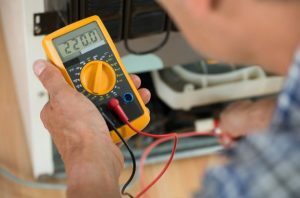 With a multimeter you can test your faulty appliance to see what needs to be repaired and what needs to be replaced. As stated above, we have two basic types of multimeters: the analogue and the digital multimeter. They both have their similarities and their differences. Some people will prefer the analogue type over the digital models and vice versa. Based on their ratings, customer feedback and overall quality, the above are the 5 best multimeters on the market. They have proven beyond reasonable doubts that they are indeed the best. If you are looking for the best analogue multimeters, the above brands will definitely serve you well. They are therefore, highly recommended for any type of electrical or auto troubleshooting tasks. The best digital multimeter is a highly effective and accurate weapon in your electrical troubleshooting toolbox. Nobody would buy an ineffective product on purpose. But the truth is, there are good products and there are poor quality products out there too. If you don’t have much experience using a multimeter you may not be able to identify the best ones out there. Remember that multimeters are in digital or analogue form. However, most people prefer digital models because of both accuracy and ease of use. This review is going to focus on the best digital multimeters in the market today. These ones were selected based on their quality, features and overall ratings on top notch retail sites. This is one of the most compact multimeters you will ever see. It is not just compact put also solidly designed and accurate. Its readings are spot on with less than 1% margin error. This is a great advantage for a multimeter that is sold considerably more cheaply than many other models in the same category. It has almost the same level of readings as other high quality multimeters that are more expensive. With a circuit board that makes use of prime spec electrical components, you should expect accurate readings for a long time to come. 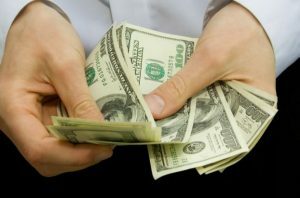 In fact, many customers still feel awed by its price after experiencing its exceptional quality in their electrical troubleshooting. They consider it value for money. It can be used to check almost anything while working on an electrical appliance. The INNOVA 3320 can measure AC voltage, DC voltage and resistance among other things. One of the most vital features of this model is its auto-ranging speed. It has a very high auto-ranging speed of less than a second unlike some other multimeters that can take several seconds before figuring out which range to use. Overall, the INNOVA 3320 is the ideal multimeter to use if you are on a budget and still want a high quality multimeter with accurate readings. It is dependable, affordable, reliable, and – crucially – accurate. Fluke 87v provides the advanced troubleshooting capabilities and accuracy needed to quickly solve electrical problems. The company has been operating since 1948 and has consistently produced the finest quality multimeters including the Fluke 87v, considered the best my many professionals. So, what are the features that make this model stand out among other types of multimeters? Well, the Fluke 87v can measure AC voltage, DC voltage, resistance, current and continuity. It can continuously take current measurements of up to 20 A for 30 seconds without any issues. Also, this model can be used in high energy environments such as those on hybrid vehicles. It is designed basically to deal with complex signals and enable you to gain productivity within the shortest possible time. Whenever you need to accomplish tasks or solve electrical problems, count on the Fluke 87v to deliver. With this multimeter, you will be taking guesswork out of troubleshooting even in high altitude locations. There probably isn’t any technician who works with a multimeter that doesn’t know the Fluke brand. And it is interesting to note that the Fluke 87v is the most popular of all models from this brand. This is because of its exceptional accuracy and efficiency when dealing with electrical problems. It can be used either for troubleshooting household gadgets or for automobiles. With 4.5 digits for precise measurement, maximum frequency of 200 kHz and maximum capacitance of 9,999uE, you can’t possibly fault the efficiency and performance of this product. Other features of this product include input alert for better safety, selectable filter for precise voltage, analogue bar graph and manual and auto-ranging capabilities. This is one of the most compact multimeters you will see on the market today. Apart from its compactness, it is also sturdily built, measures accurately and is packed with a host of features. 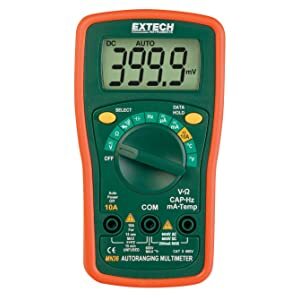 The Extech MN36 can measure DC and AC of up to 600 volts. This multimeter is an auto-ranging model, which means that you can actually read the meter display with maximum resolution and proper place location. Other great features include impact resistant rubber holster, integrated tilt stand, easy-to read LCD display and a portable curved design that is easy to hold. The Extech MN36 features diode functions, continuity, temperature, frequency, capacitance, resistance and DC/AC current. This multimeter measures temperature to boot, measures current for around 200 micro chips, has easy to read display, is designed with strong construction to withstand rough handling and also features a replaceable fuse. Above all, it is very affordable! Fluke is the number one brand when multimeters are concerned. 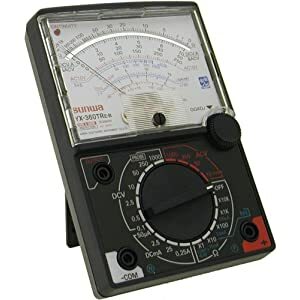 The company has built a reputation over the years with the production of high quality and exceptional multimeters that help technicians perform their tasks exceptionally well. They have gone a step ahead to produce yet another high quality multimeter to assist those who don’t have a fortune to pay. Fluke 117 is one of the best digital multimeters. The multimeter has several features just like other Fluke models. It provides efficient and accurate readings even in low light conditions. This meter also has non-contact voltage detection that prevents false readings as a result of ghost voltage. Some of its features include compact ergonomic design, max/min/average elapse time to record fluctuations in signal, capacity to measure capacitance, frequency, continuity and resistance, True RMS that can measure non-linear loads, large LED light for use in dark areas, and low input impedance. n the market today. It is always a good thing to work with a tool that improves great performance and helps you accomplish tasks quickly and more effectively. The digital multimeters reviewed here are the finest the industry can offer. If you want the best digital multimeter for your overall electrical troubleshooting efficiency, there are no better options than these models.